Free Download: Birthday Gift Tags! 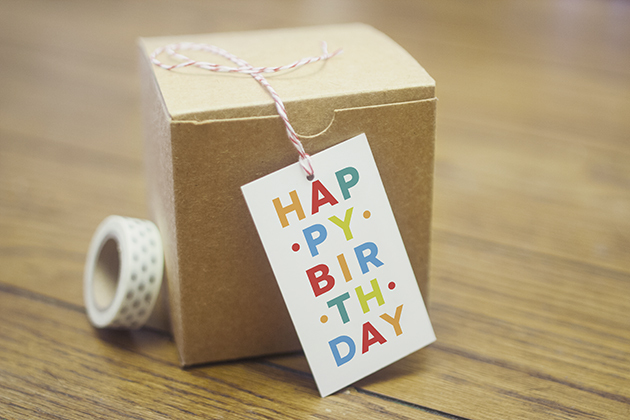 22 Sep Free Download: Birthday Gift Tags! To kick off our week long birthday celebration, we are offering a FREE download of three playful, printable birthday gift tags! Click the corresponding links below to download all 3. The Geo Frame tag is a Photoshop template and can be customized and edited with a photo of your choosing. Be sure to check back each day this week for exciting DIY tutorials and more free printables!